Maintaining privacy and confidentiality is harder than ever to do, especially with so many people and companies demanding that we provide them with our SSNs. It’s doubly worse when you are forced at the end of a gun to reveal all of your most personal and private information to a governmental agency that can’t control who has access to it. 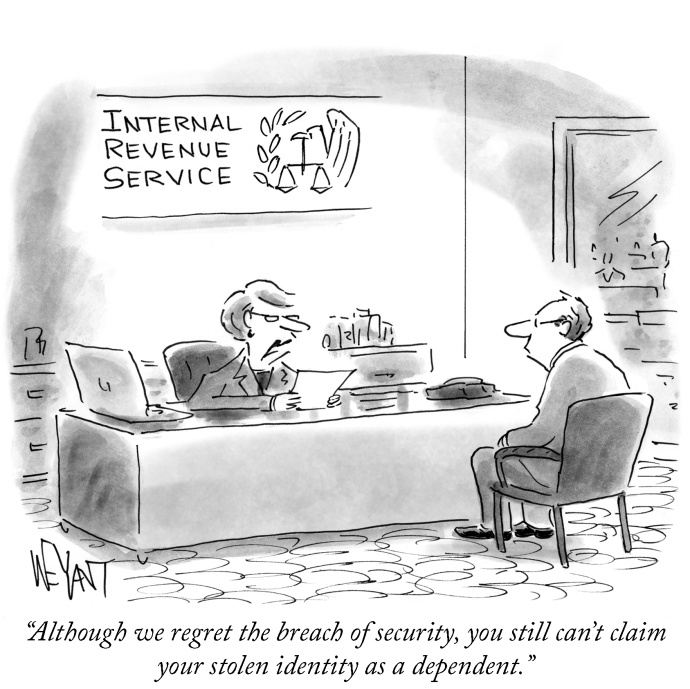 IRS has just admitted to over 100,000 taxpayer accounts being illegally accessed by criminals. How many were really hacked, nobody will ever know. What we do know is that this kind of thing will just get much worse, since the same geniuses in charge of IRS cyber-security are responsible for the ever growing personal data associated with ObamaCare. There will no longer be any such thing as private medical records. This entry was posted on May 26, 2015 at 7:52 PM	and is filed under Crooks, IRS, privacy. You can follow any responses to this entry through the RSS 2.0 feed. Both comments and pings are currently closed.